I´ve been in Ecaudor for almost two months now, so I thought I´d do a little catch-up on what books I´ve been reading here, during that time. This is the first book I read in Ecuador, during that first week when we were bussing across the country with Jess´ parents. I´d read it before back in ninth grade, but I think (no, I know) most of it went over my head. The main scene I remembered from the first time I read it is the part when a dead donkey is thrown off the cliff but the other folks in quarantine, and Jesus in his little cave, twitching in a hallucinatory state, thinks that it´s a demon-angel falling from the heavens to further test his will. 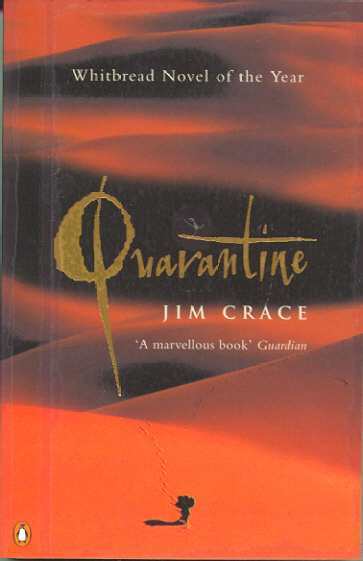 I love historical retelling what-if fiction, and this one is particularly delicious since the particular history it reinterprets is Jesus´ 40 days in the desert. Such a set-up leads to numerous great scenes as Jesus descends further into hunger and nakedness and bare desert craziness (to paraphrase ¨Lawerence of Arabia¨: ¨only gods and Bedouins enjoy the desert, Lawrence, and you´re neither¨). I especially like the parts describing just how damn boring it gets, being in the desert for forty days and forty nights–in this novel, Jesus deals with his boredom by writing words from Roman coins with his fingers in the sand and soon he finds this more useful and rewarding than his prayers. I like how in the end, Jesus´ miracle abilities are left ambiguous. Is he just the Galilean equivalent of ¨Into the Wild,¨ or genuine miracle man? Also, I thought it was really interesting that Jesus´ biggest fan throughout the book was the supposed villain, the merchant. In the end I couldn´t decide if this was a kind of dramatic irony–the reader knows the merchant is right in the end, perhaps granting him a little more sympathy–or if it was supposed to be a kind of commentary on the ultimate commercialization and marketeability of Jesus. It makes sense in a way, that Jesus´ biggest cheerleader would be a merchant: Jesus as brand product has certainly led to a lot of money for a lot of people, as the merchant in ¨Quarantine¨ astutely and accurately sensed. I picked this up off of Jess and Brian´s bookshelf and read it in a single session during one of those rare time-off days we had, hanging around in Quito. I wanted to read namely because it is about a foreigner living in Ecuador in the 60´s, in the same neighborhood as us (good old Guapulo). Unfortunately, reading it for the sake of seeing familar street names and bus routes in print turned out to be the most worthwhile thing about this book. Written by a Peace Corps guy, it made me doubly glad that I ended up turning them down: maybe things have changed in the past forty years, but this guy was a total stooge, partying all the time, looking down on the local people, and generally doing crap at his work. OK, maybe I´m being too judgemental, but he definitely is a poor writer. I read this before and during the Mycotour. It took a long time but I got through it, whereas I´d never managed to completely tackle ¨No Logo¨ in full. This is an awesome book. I think I finally understand what neoliberalism is–maybe. Mind you, Klein has a thesis and a specific political stance from which she argues that thesis, which is fine by me–what´s the point in trying to be objective or impartial, when that´s obviously impossible? Better to be ballsy. She really hammers you over the head with her argument, though. 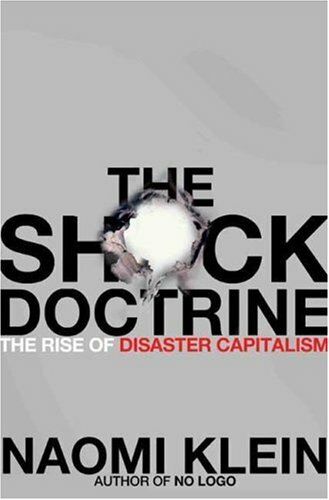 I´d recommend skipping the chapters on Poland, Russia and China, and instead read the parts on Argentina, Chile and Bolivia (the most interesting of the book), the section on Iraq, and the last chapters on the tsunami and New Orleands. Oh, and the very fine introduction and conclusion, of course. All that should be more than enough to drive her point home. After writing a puny paltry thesis meeself, I have great appreciation and admiration for Klein´s clear and readable style, the way she carefully organizes the points in her argument, her topic senteces (man! can this lady make transitions!). Very smart lady and very smart, relevant book, which left me with a lot to think about. Corey and I slowly but surely read this book together, reading it aloud to each other before going to sleep each night (a hobby we first started with Cormac McCarthy´s ¨The Road,¨ which is a great book to read aloud, by the way!). This is a good book to read when you´re working or even just visiting the jungle. The author is very much not a dry scientist at all, but instead fills his novel with plenty of funny, strange anecdotes (especially memorable is when a hallucinogenic plant dust is blown up his nose with great force by a blowpipe) and lots of interesting asides about the chemistry and use of so and so plant. I could have done with less copy-paste excerpts from eighteenth-century naturalist-botany texts, though. It took me yonkers to finish this book, namely because it kept disappearing. I finally got to finish it in Yasuni Park, by the Shirpuno River, which appropriately enough is Huaorani territory and one of the primary settings of the book. I even got to meet the guy on the cover, Moi, at the Shiripuno Bridge, which was very exciting. I was appropriately tongue-tied and starstruck, most likely to his great amusement. This is a great book to read if you´re looking to understand in greater detail the effect of oil development in the eastern Oriente (or Amazon) of Ecuador. Klein´s carries on the great journalist tradition of Orwell, in which the observer´s present and his private opinions of the matters at hand are acknowledged, rather than ignored or disguised. Particularly memorable is Klein´s story of being lost in the jungle with the twelve-year-old Huaorani guides (one of whom who walks everywhere with a single white sock on his foot, slapping against the mud), with no food, no dry clothing and no idea where they are, and Klein is forced to deal with the sentiment that very few of us would every like to confront in our lifetmes: the feeling that one is going to die, in the jungle, lost, wet, and scared witless. Pretty gripping stuff. Klein ends the book with a simple yet important question: if oil development is to be done in Ecuador (and the argument that it is inevitable is a strong one), and if it´s going to be done on indigenous land, shouldn´t there at least be an effort on the oil companies parts to at least know whose land they are using? In other words, to sum up the final message that I gleaned from the book: what a bloody mess. 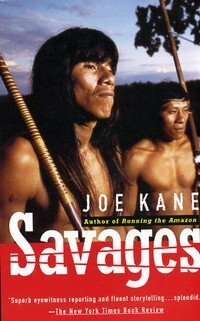 Wow, the synopsis of this book is crazy: a young Peruvian teenager, working as a rubber tree cutter in the Peru-Brazilian rainforest in the early 20th century, gets kidnapped by an uncontacted tribe of Indians and raised among the community, who has the intention of making his chief. Say what?? Why haven´t I heard of this crazy story earlier, or at least, why hasn´t there been an extensive, detailed ethnography published about it? (I certainly hope so–anthropology is not my field!) The story is so crazy, that I actually wished this book was longer, and went into more detail. Because of the book´s brevity (a hundred something pages), a lot of stuff I wanted to hear more about was skimped over: like the feeling of being in a totally alien community, not knowing the language, the customs, the culture or anything. The book is written with little self-analysis or introspection and kind of just moves from one interesting anecdote to another, which is fine, but I was definitely left craving more. Maybe it has something to do with the fact that the story was retold by a source who met the guy, rather than by the guy himself? Anyway, the definite highlight of the book are the descriptions of the ayahuasca ceremonies. Very trippy (haha) and interesting stuff. Man, if this book hadn´t been published almost a decade ago, I would call this Chricton´s comeback. I read this on a hammock in Yasuni, in between bouts of leading Swiss and French tourists around the jungle. It was definitely a very good braindead book for my dead stressed brain. I mean, the part where the killer nanorobots start infecting humans and become transmitted by kisses is a little far fetched, but what else can you ask from a book about killer nanorobots? I like typing that: Nanorobots. Yessss. This is a good book to read if you know obviously nothing about rainforests and tropical ecosystems and botany (raises hand). Wait, (lowers hand), I know more now than I did before, ´cause I´ve read this book! 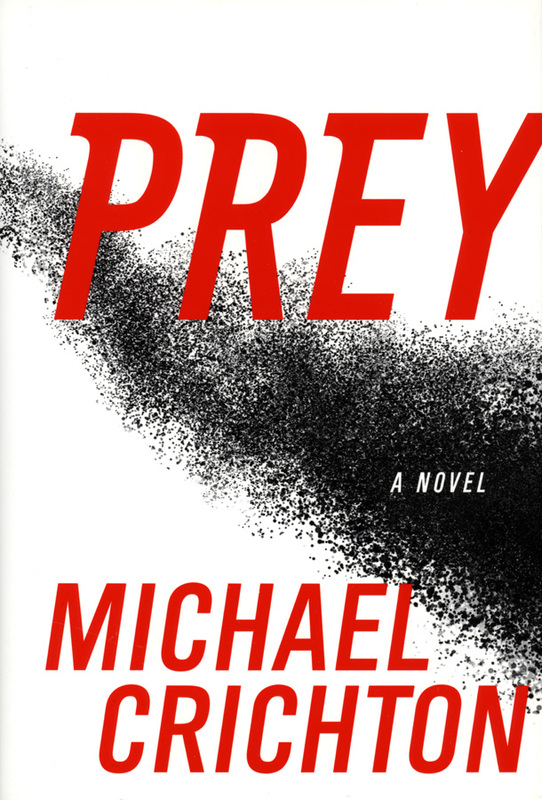 The authors go out of their way to discount the stereotypical dry, boring scientist-writing, and instead use a style that is engaging, entertaining and highly readable. 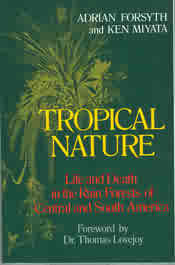 Each chapter is about a different aspect of the rainforest, such as fruit, orchids, ants (memorably called ¨Tiny Socialists¨ by the chapter title) and matapalo, or the killer strangler figs. I am now filled with knowledge about the rainforest that is probably basic to all scientists, but extremely exciting for me. For example, did you know that the sloth buries its poop at the bottom of a tree, which possibly indicates a symbiotic relationship between the two? DIDN´T THINK SO. The sloth eats the tree´s fruit and doesn´t move, since he´s a sloth, while the tree benefits from the fertility of the sloth´s poop. SRSLY. Corey stumbled into this book for me after meeting an Argentenian at a house party in Guapulo and somehow ended up discussing Faulkner and Onetti (THEESISYES!!). 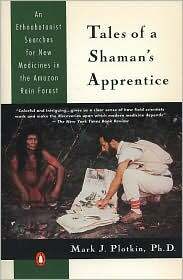 I was in the jungle at the time, but the Argentinean ended up lending Corey this book, which he promptly delivered to me in Yasuni. On the first page someone wrote ¨! Este libro no se presta. No insiste.¨ (This book is not to be lent. I don´t insist). So I don´t know whether to be flattered or confused that this ended up in my grubby hands. Anyway, this is a great, great book. I should have read this book for my thesis. I am seriously grinding the tip of its spine against my skull in self frustration. I used Piglia´s essays from Critica y ficcion, and I remember my advisor reading some excerpts from Respiracion artificial to me, but what with everything going on… I just never got around to actually reading it, I guess. It made for a great, exciting walk down memory lane, right off the bat with the T.S. Eliot epigraph: ¨We had the experience but missed the meaning, an approach to the meaning restores the experience.¨ OH SNAP SECOND CHAPTER! I got a little lost during the last 50 pages, but that was likely a result of the classic Julie-reading-fast-in-eagerness-to-get-to-the-end symptom. How do I even begin talking about this book and how it´s now offcially one of my favorite books ever? Every page of this book was like a delicious treat, like an interesting, fascinating conversation. The plot is impossible to summarize. On one level (and there are many), it deals with a nephew corresponding with his uncle, who is obsessed with researching the life of a man called Enrique Ossorios, who was writing a novel. This book brings new meaning to the phrase ¨cake layers¨, the novel´s intricate layering go above and beyond the cake. More than anything, I loved this book because it is so obviously written by someone who himself loves books, intensely and absolutely. Indeed, the love of books is an important theme. The second page discusses the nephew´s failed novel, an attempt to imitate the voice of Faulkner, but as translated by Borges, which instead ends up as nothing more than a bad parody of Onetti. Oh, it makes me tingle just to remember it. This book makes me tingle, and when you have time and space in your life, please read it.